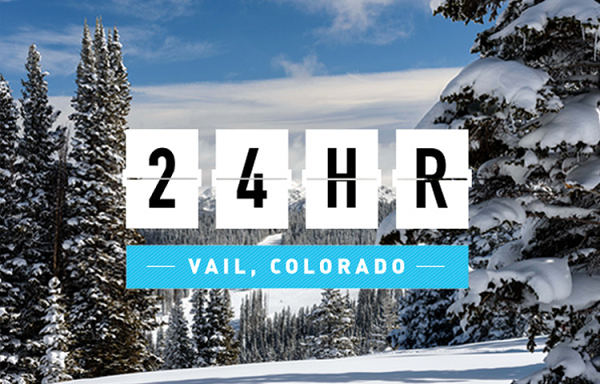 Ski season is here, which also means hot-tub time in the mountains is on the rise. 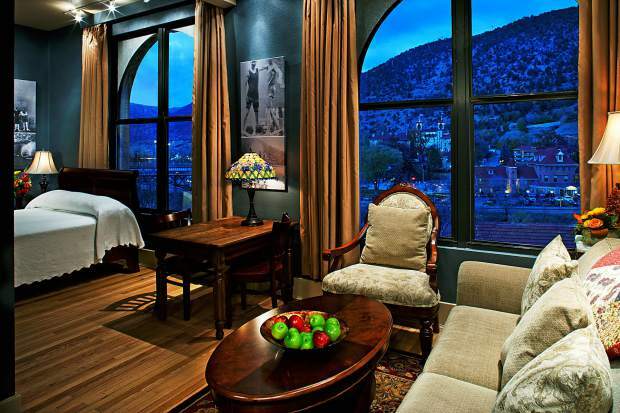 Glenwood Springs is an easy escape for a good soak and a memorable overnight stay. Glenwood has always been known as the home of the world’s largest hot springs pool, but now there’s a new mineral mecca in town. 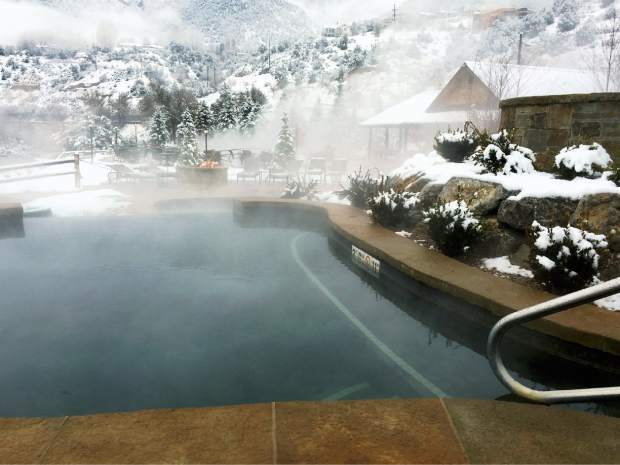 Iron Mountain Hot Springs opened this past summer on the west side of Glenwood — located alongside the Colorado River. 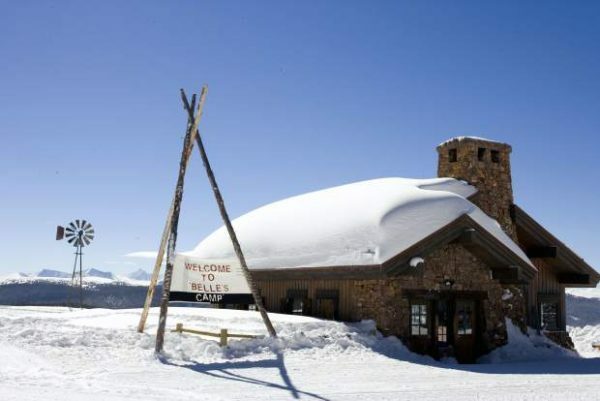 The land has been a soaking spot since 1886, when it was made into the West Glenwood Health Spa, and then the Wash Allen Bathhouse in 1908, then the Gamba Mineral Springs in 1943 and, finally, the Fort Defiance Bathhouse in 1992, which was closed in 1996. This year, co-owners Steve and Jeanne Beckley, and Mogli and Coop Cooper, completed redevelopment of the 13-acre space to make room for 16 mineral springs soaking pools, a bathhouse with locker rooms and a retail shop and the Sopris Cafe, with food, local beer, wine and spirits. Poolside drinks make the destination more festive, whether you’re sipping a Woody Creek Distillery Moscow mule or a creamy and rich peppermint mocha. Servers come around to the pools to take drink orders as the relaxation really sinks in. Bret Pfost, general manager of Iron Mountain Hot Springs, said the eventual plan for the site is to build a spa and resort. 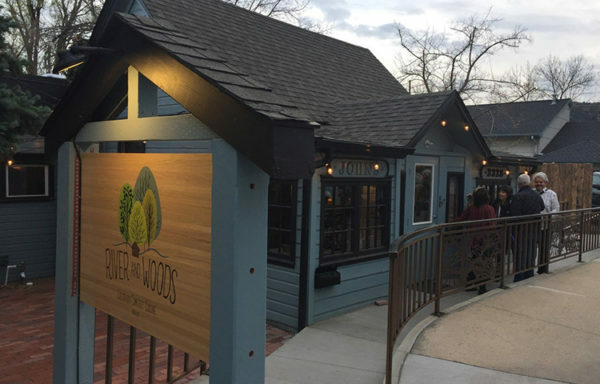 “We don’t really look at it as a competition but a complement to the other hot springs,” Pfost said, referring to the town’s original spot to soak — located on the east end of Glenwood. Even if some competition has come along, Pfost is right — the two hot springs do complement each other because they are so different. While still family-friendly, Iron Mountain caters to an adult audience. The pools are a range of sizes, with temperatures between 98 degrees and 108 degrees. A few pools, such as the riverside Topaz, have stones on the bottom for an extra foot massage, and the Garnet has an infinity edge that seems to fall right through the western horizon. Children ages 6 to 13 are required to have adult supervision in the small mineral pools (also known as the “quiet zone”), and children younger than 5 are only allowed in the family pool. The natural mineral waters in each soaking pool contain 14 different minerals — the five most abundant are iron, sulfate, chloride, sodium and calcium. Iron and sulfate are known for their relaxing qualities. Entrance to Iron Mountain Hot Springs is $20 per day or $14 for kids 3 to 12 (kids younger than 3 are free). 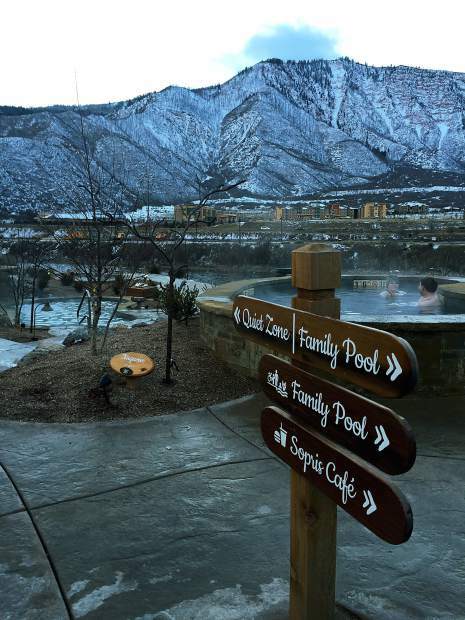 The evening soak rate is $15 from 6 to 10 p.m. daily, $9 for kids 3 to 12. 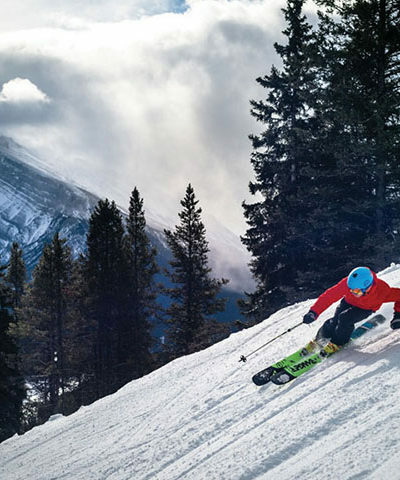 Seasonal pass rates are also available. 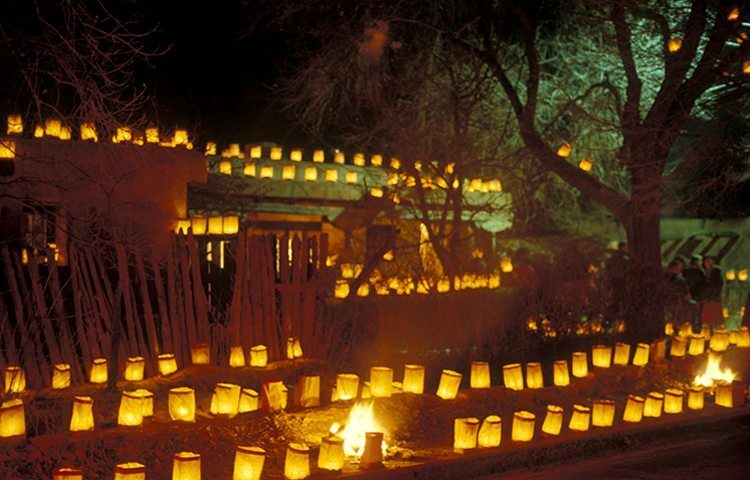 Winter hours are 9 a.m. to 10 p.m. daily, with holiday hours that may vary. History stays alive with The Hotel Denver in downtown Glenwood. It’s elegant and inviting and celebrating its 100th anniversary this year. “You may not have time to explore every corner of Glenwood Springs, but wandering The Hotel Denver will give you a crash course in history — not just of the hotel, but of the community,” said April Carver, who has owned The Hotel Denver with her husband, Steve, since 1991. Timeless treasures in the lobby — such as the handcrafted, mother-of-pearl train picture that hangs above the morning coffee station, the 1885 rosewood Weber piano that sits on loan near the hotel entrance, an antique clock and original decor tiles — are reminders of the building’s rich heritage. The recently remodeled Colorado rooms are larger, one-bedroom options, with windows facing Seventh Street and the Colorado River. An open room combines classic furniture with contemporary art, set against brick-wall accents and warmed with a cozy bed quilt and ambient lighting options. Dogs are allowed in most rooms, so your Fido friend can come along, too. The location of The Hotel Denver is ideal for restaurant-hopping, as it’s walking distance to anywhere you want to go downtown. “The Seventh Street and train station district of Glenwood Springs is once again a thriving getaway to all the town has to offer,” Carver said. The Pullman, located just a block from The Hotel Denver on Seventh Street, takes American comfort food to a new level. The eatery serves lunch, dinner and Sunday brunch, drawing its dish inspiration from seasonal ingredients — served with a dash of decadence. For dinner, start with some small plates to share, such as the roasted sprouts with thick cuts of house bacon, arugula, butternut squash, hazelnuts, Parmesan and maple mustard vinaigrette. 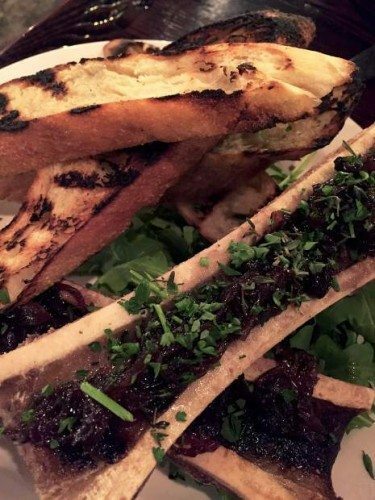 The roasted bone marrow appetizer has a smooth, rich texture with a giant depth of flavor — lovely with a glass of bubbles to begin. For pasta, go with the handmade pirogies, filled with truffle potato and topped with scallion creme fraiche. It’s great to share, much like the mussels entree, served in a savory broth with chorizo and frittes. The Pullman is known for its cocktail program, too. 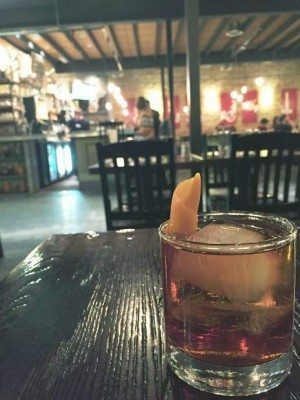 The mixologists behind the bar can make complex drinks, but they also known how to make simple libations shine, such as their barrel-aged Manhattan. For breakfast before check-out, the River Blend Coffee House has an entrance on Seventh Street and a door that feeds straight into The Hotel Denver lobby. They serve locally roasted coffee, and their chorizo burrito with green chili is warming and delicious.